Raspberry Pi computers are being used to power “micro” radio transmitters in Syria. 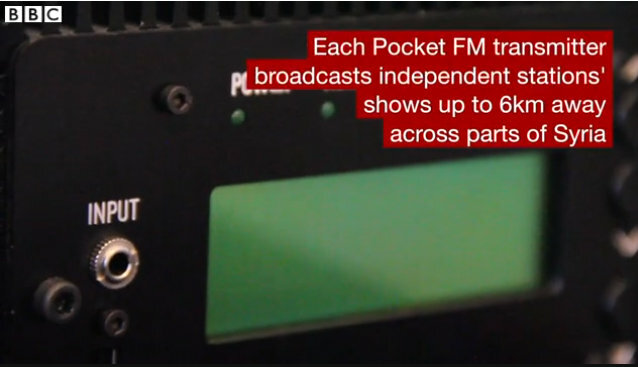 The Pocket FMs, as they are called, were designed by a German organisation as a way of providing Syrians with independent radio. The devices have a range of between 4 to 6km (2.5 to 3.75 miles), which is enough to cover an entire town. At the heart of each is a Raspberry Pi, the credit card-sized single-board computers. About two dozen have been built, and the designer says they are intended to be as easy to set up as a piece of flat-pack furniture. “We lost one device in Kobane”, Philipp Hochleichter told BBC Radio 4’s PM programme. The Raspberry Pi is an amazing little computer; capable of so much at such a low cost. I just purchased a Raspberry Pi 3 yesterday; hoping I can think of a clever way to use it for a little radio fun.. This entry was posted in FM, News, Radio Modifications and tagged BBC, Pocket FM Radio Transmitters, Raspberry Pi, Raspberry PI 3, Richard Langley, Syria on March 1, 2016 by Thomas. A non-profit organization in Berlin has invented a small portable transmitter that can download satellite signals and rebroadcast them on FM for Syrians to listen to on their car or household radios. If this story sounds familiar, it’s because we posted something about the organization a few weeks ago. This entry was posted in Broadcasters, Clandestine, Manufacturers, News, Pirate Radio and tagged NPR, Pocket FM Radio Transmitters, Syria on January 20, 2016 by Thomas. Newsweek: Can radio turn the tide in Syria? “Twenty minutes—this was the small window of time that Majid (not his real name) usually gave himself to broadcast his radio dispatches and then flee. The Syrian was making a name for himself as a bold, young journalist in Damascus, venturing into contested neighborhoods in the capital’s war-torn suburbs to deliver his reports. The broadcasts were low tech and old-fashioned, produced for an upstart radio station called Al-Watan FM, or “The Homeland FM,” and went out on the local airwaves, crackling into a sphere otherwise tightly controlled by the regime. Any Damascus resident scanning the dial could tune in. Continue reading the full article in Newsweek’s The Daily Beast online. This entry was posted in News, Pirate Radio and tagged FM, Free Speech, Radio, Syria, The Professor on September 16, 2013 by Thomas. 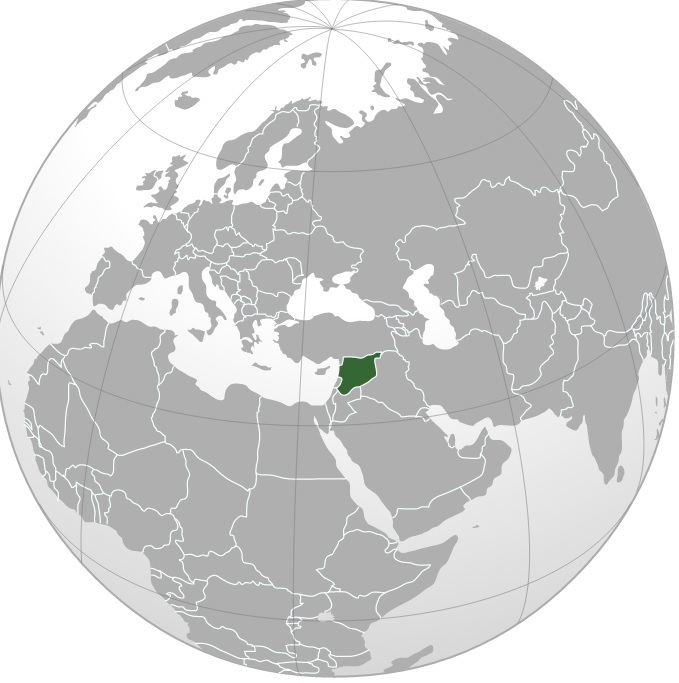 Syria is one of the biggest international news items at the moment. If you want to hear Russia’s side of the story, there’s no better place than via the Voice of Russia. 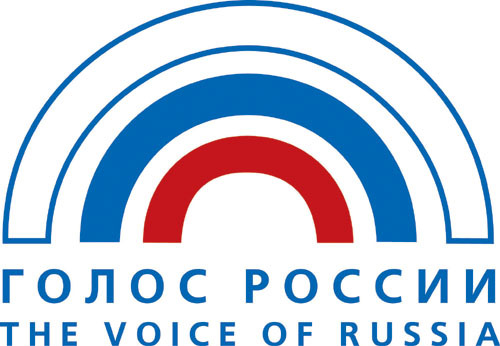 Many thanks to Shortwave Radio Audio Archive contributor, Frank, for submitting this recording of the Voice of Russia English language service. Frank recorded this broadcast on September 14, 2013 starting at 22:00 on 9,465 kHz with his Kenwood R-5000 receiver. This entry was posted in Broadcasters, News, Recordings, Shortwave Radio, What's On Shortwave and tagged Recordings, Shortwave Radio, Syria, Voice of Russia, VOR on September 16, 2013 by Thomas.